Posts in this category include content about how I incorporated archives into multi-media lectures, activities, and assignments in my world literature classes at the University of Texas at Austin during Spring 2014. For a recent unit on Anglophone African literature in “English 316K: Survey of World Literature,” we explored the University of Kansas Libraries digital collection, “Onitsha Market Literature: From the Bookstalls of a Nigerian Market.” This fantastic collection includes 21 digitized versions of once pulpy, now priceless pamphlets printed by enterprising Nigerian publishers on British presses discarded following World War II. 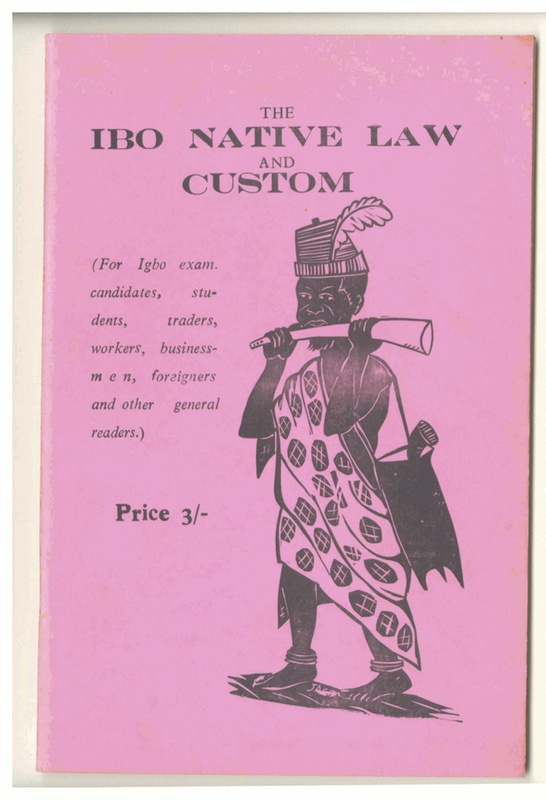 The pamphlets circulated among a popular readership at the Onitsha Market in Nigeria during the 1960s. Onitsha, a port city and trade center on the Niger River in Igboland in southeastern Nigeria, has a history strongly determined by the British slave trade that operated in the region from the 16th through the 19th centuries, and by the British colonialism that followed. 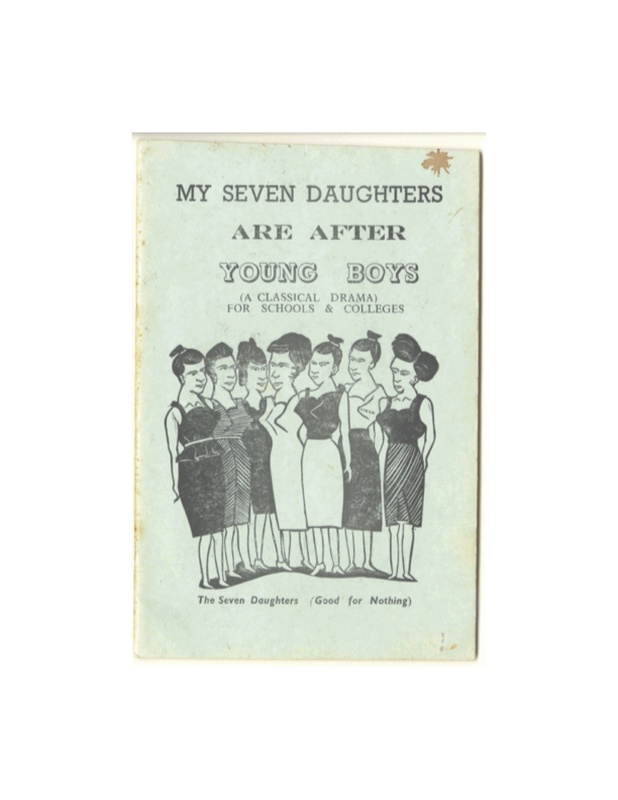 The pamphlets in the digital collection are a legacy of this history in that they’re generally printed in the lingua franca of the region, a Nigerian pidgin that blends regional vernaculars with English. 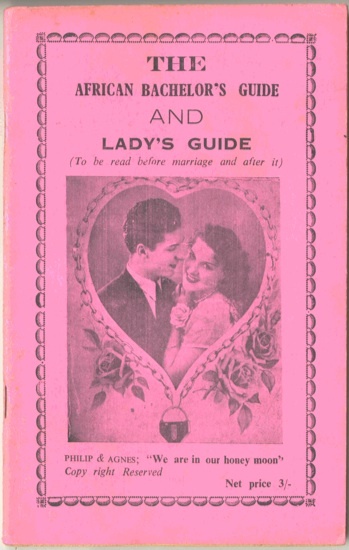 The pamphlets thus represent the culturally-textured crossroads of British colonial influence and the laying down in print of a traditionally oral regional narrative tradition. The first two covers feature rubber-block-cut prints that connect them with the local Igbo folk-art tradition, while the second two covers feature images cribbed from Western cinema magazines, newspapers, or advertising. Read comparatively, these visuals strongly indicate the geographic and historical context of Onitsha as a point of cultural confluence and international trade. For useful history and background on Onitsha Market literature, see Kurt Thometz’s anthology Life Turns Man Up and Down: High Life, Useful Advice, and Mad English. Although he’s more often remembered for his contributions to international relations, and of course for the fact that he was married to the legendary novelist Virginia Woolf, Leonard Woolf had an important literary career of his own. 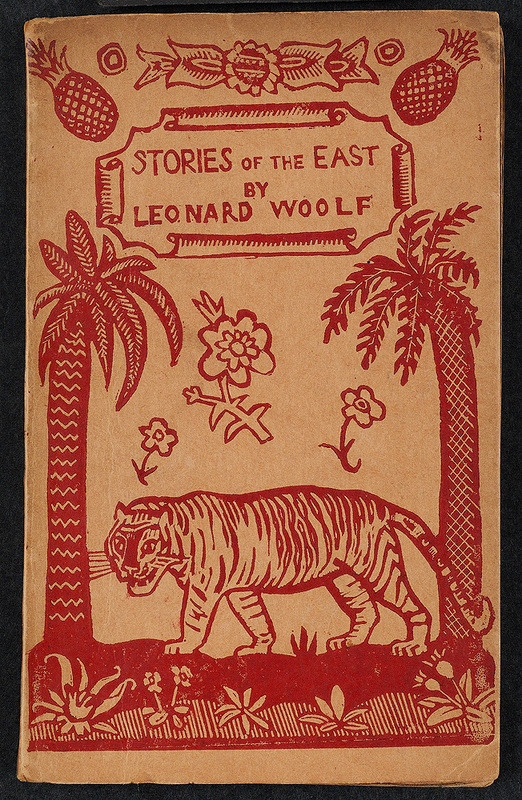 In class, we talked about the short story in the context of Woolf’s political and advocacy activities following his return to England from a stint in Ceylon (present-day Sri Lanka) from 1904-1911. Woolf’s colonial fiction was inspired by his tenure as a colonial administrator, during which he observed the exploitation attending British economic policies aimed at “modernizing” the Ceylonese economy. “Pearls and Swine” is based on Woolf’s experience superintending the pearl extraction industry at the Marichchukkaddi Fishery in 1906. The story is notable for its multiple layers of narration. It opens in the mahogany-paneled smoking room of a British club, where a character known as the Commissioner, thoroughly ambivalent about empire after his experience administering it, relates a visceral tale of the human suffering he witnessed while overseeing the pearl harvest on the north coast of Ceylon. The unidentified narrator of the story listens silently and attentively to the Commissioner; he doesn’t speak out loud, but makes editorializing internal comments about the story and the other members of the Commissioner’s audience in the smoking room. These characters include three men who, like the narrator and the Commissioner, remain without proper names over the course of the story. The Colonel, the Clergyman, and the Stockjobber represent, respectively, British military, religious, and economic justifications for imperialism; collectively, they object to the anti-imperial edge of the Commissioner’s tale. Woolf’s story takes an anti-imperial position in part by narrating pro-Empire characters in sheerly contemptuous terms. For example, the narrator describes the Colonel as a “tubby little man” with “stupid red lips” and “kind choleric eyes bulging out on a life which he was quite content never for a moment to understand.” Judging from his short story, it would seem that Woolf’s anti-imperialism was unequivocal. Letters written to Woolf between 1915 and 1918 by E.W. Perera, Ceylonese lawyer and nationalist, seem to corroborate this interpretation of Woolf’s resistance to empire. The letters, available in the Leonard Woolf Archive at the University of Sussex, indicate that Woolf participated in a media campaign Perera engineered in England to advocate civil and political rights in Ceylon. Strikingly, the letters reveal that although Woolf’s name was in the byline of opinion pieces published in The Labour Leader, The New Statesman, and The Manchester Guardian, Perera often dictated their content. In class, we discussed how the portrait of Woolf that emerges from Perera’s letters squares with the ethics and politics of Woolf’s fiction. To further enrich (or more accurately, complicate!) the discussion, I introduced Woolf’s association with the Anti-Slavery and Aborigines’ Protection Society. 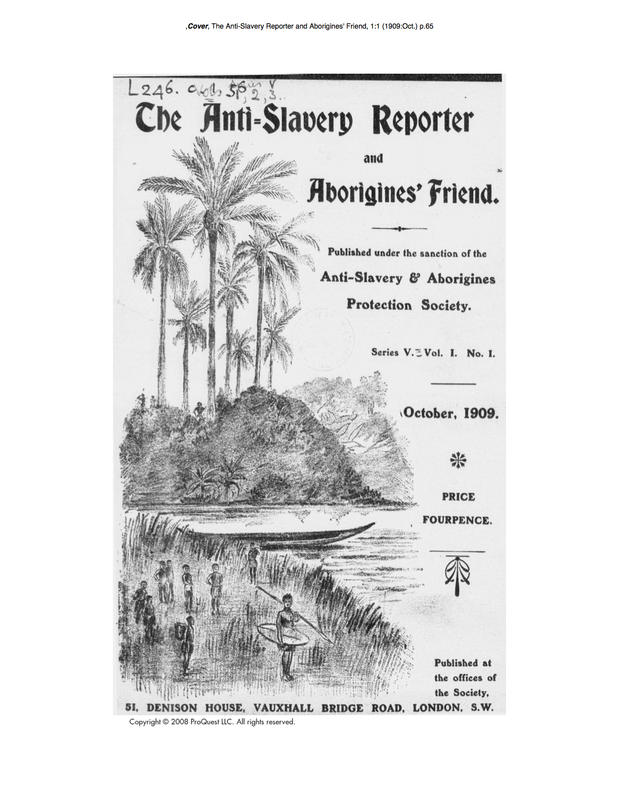 We examined the cover art of the first issue of the periodical of the Society, the Anti-Slavery Reporter and Aborigines’ Friend, which has been digitized as part of the British Periodicals Collection of ProQuest’s Periodicals Archive Online. Students compared and contrasted the cover art of Stories of the East and the cover art of the periodical above. The class considered the ethical relationship the visuals of the Anti-Slavery cover set up between colonized subjects of Empire and sympathetic Europeans, anti-slavery advocates and self-proclaimed “Aborigines’ Friends.” Woolf’s experience in Ceylon inspired his earnest participation in Ceylonese and Indian campaigns for independence during the 1920s, 30s, and 40s, but he was not immune from the orientalism (Edward Said’s term and a key concept in E316K) that so strongly inflected even the most progressive British attitudes of the day toward colonized populations. Indeed, the April 1918 issue of the Anti-Slavery Reporter and Aborigines’ Friend includes a report that challenges assumptions that Woolf was strictly opposed to imperialism. According to the report of an Anti-Slavery Society delegation to the Colonial Office, “Mr. 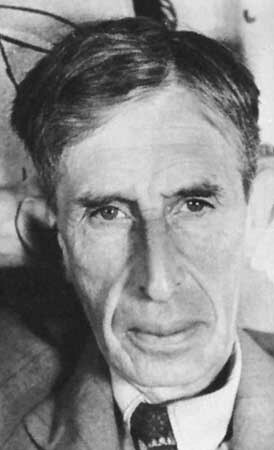 Leonard Woolf referred to the importance of regaining the confidence of the people of Ceylon” (5). This brief report of Woolf’s testimony is a reminder that in the context of late British imperialism, the progressivism of even the most politically active and articulate allies of colonial nationalists must be carefully examined for historically-specific nuance. Is Woolf’s objection to economic exploitation and political repression in Ceylon the same thing as anti-imperialism? J.E. Casely Hayford and The African Times and Orient Review: “Militantly” Anti-Imperial? Recently in “E316K: Survey of World Literature,” we read excerpts from J.E. Casely Hayford’s Ethiopia Unbound, an expansive work of experimental fiction praised for its sophisticated analysis of social, political, and economic conditions in Africa under British imperialism. Casely Hayford himself was Ghanaian. 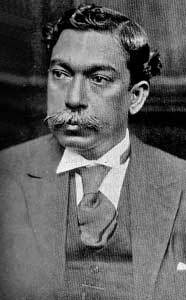 Born in 1866, he wore many hats over the course of his career as an educator, journalist, lawyer, editor, fiction writer, and statesman. He led the first meeting of the National Congress of British West Africa in 1920, headed up delegations of African leaders to London, and was elected to the Ghana Legislative Council in 1927. 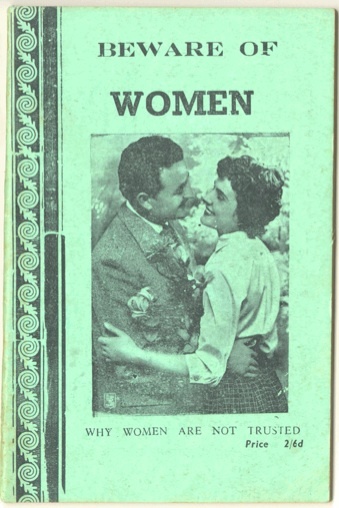 Published in 1911, Ethiopia Unbound tries on a variety of genre conventions. Our class focused on two segments of the novel anthologized in Elleke Boehmer’s excellent Empire Writing. “African Nationality” takes persuasive essay form, and “As in a Glass Darkly” is a parable. The title of the parable is a biblical reference to Corinthians; it means to see a poor reflection or a dim image in a mirror. The parable satirizes the colonial powers that came together for the Berlin Conference of 1884-85, which resulted in a General Act that formally instituted the Scramble for Africa. Through his use of the parable–a Christian narrative form–Casely Hayford exposes the hypocrisy of imperial conquest justified in terms of a Christian civilizing mission. The cover art of the inaugural issue, however, tells a different story about the identity of this ground-breaking periodical. Does this look like a “militantly” anti-imperial publication to you? Here’s a higher-quality PDF version of the African Times Cover. That’s right–you’re seeing a white angel hovering benevolently above two imperial subjects representing, respectively, Africa and the Orient. 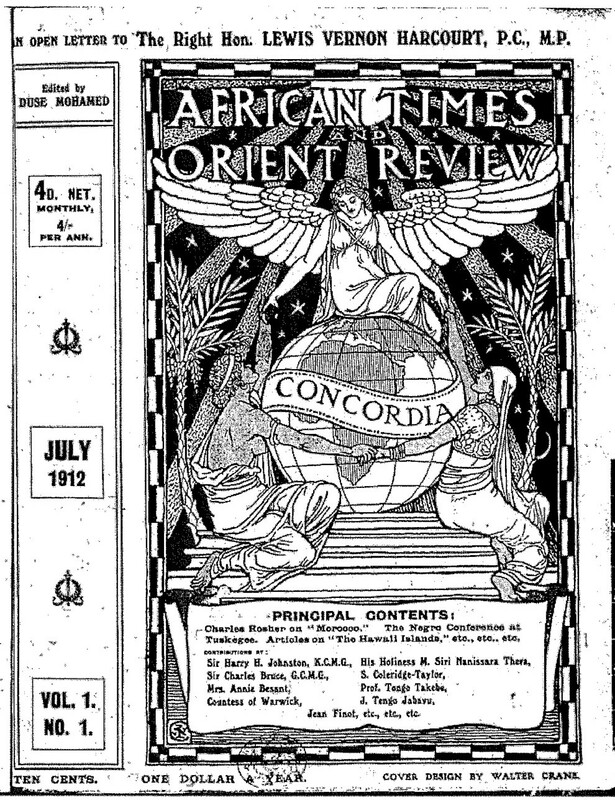 The three figures join hands around a globe with a banner proclaiming “CONCORDIA.” The editorial foreword of the first issue sheds further light on the orientation of the publication: “We, as natives and loyal subjects of the British Empire, hold too high an opinion of Anglo-Saxon chivalry to believe other than that African and Oriental wrongs have but to be made manifest in order that they might be righted.” Language like this indicates that the publication was invested in reforming rather than ending imperialism. Reading Casely Hayford’s fiction alongside The African Times and Orient Review offers a nuanced perspective on how anti-imperialism was theorized and practiced by important Pan-Africanists like Casely Hayford, his mentor Edward Wilmot Blyden, and his colleague Dusé Mohamed Ali, founding editor of The African Times and Orient Review. In this case, rather than unequivocally opposing empire, Casely Hayford was willing to publicly support the ideals of imperialism, even as he opposed its exploitive practice. Students in my “English 316K: Survey of World Literature” classes explore a variety of traditions in Anglophone literature, from Afro-Caribbean intellectualism, to Irish literary nationalism, to Indian social realism. Although we also study works in translation, our focus is often on writers who make a deliberate choice to write and publish in English. This allows us to tap into the rich history of English-language world literature as intimately tied to legacies and contexts of British imperialism. 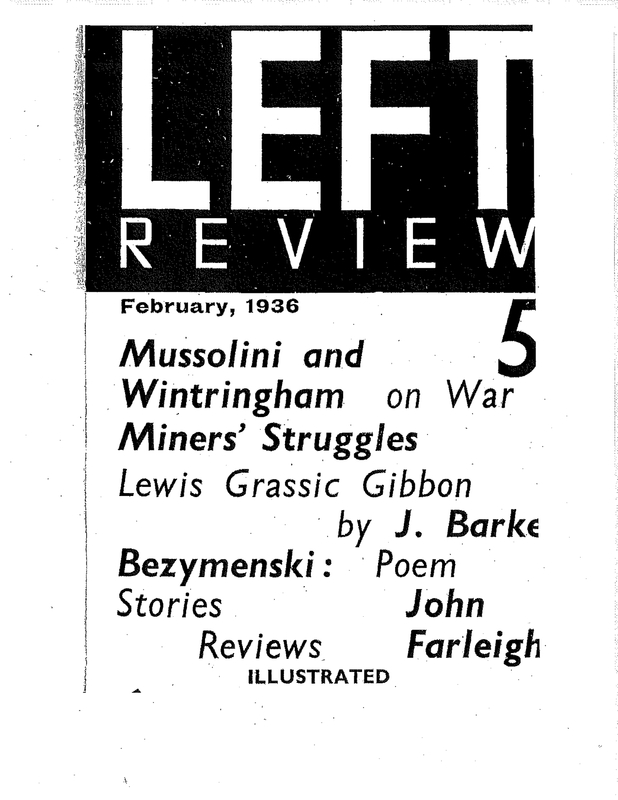 On the first day of class, I distribute copies of the Manifesto of the Indian Progressive Writers’ Association, published in the February 1936 issue of the London-based literary-political periodical The Left Review. The Left Review won the dubious distinction of George Orwell’s disdain. In The Road to Wigan Pier (1937), he complained of “the ‘proletarian’ cant from which we now suffer. Everyone knows, or ought to know by this time, how it runs:… bourgeois culture is bankrupt, bourgeois ‘values’ are despicable, and so on and so forth; if you want examples, see any number of the Left Review.” Orwell’s pithy criticisms notwithstanding, The Left Review did important work to distribute the work of Indian writers to a British readership. Indian writers like Mulk Raj Anand, who drafted the Manifesto, hoped that social realist literature would contribute to ongoing movements in India to resist British imperialism on one hand and religious orthodoxy on the other. Anand’s evocatively (or provocatively?) titled novels Untouchable (1935) and Coolie (1936) feature young protagonists marginalized by the Hindu caste system and British colonial economic policy, respectively. In Untouchable, the socially ambitious Bakha repeatedly tries and fails to transcend his caste identity; in Coolie, Munoo, an intrepid itinerant laborer, works tirelessly to integrate himself into the colonial economy. (You guessed it: neither story has a particularly happy ending.) What would compel a writer like Anand to pen these novels in English? And what does it mean that the Manifesto of the Indian Progressive Writers’ Association was published in English in a London-based periodical? Questions like these drive our discussion in E316K. For a first-day discussion, the Manifesto does a great job of setting up the central question of the course: how has English-language literature historically been used as a tool of imperial assimilation and as a tool of anti-imperial resistance? Before asking students to read this historic document for the points of context it supplies in a preliminary discussion of Anglophone world literature, I contextualize the Manifesto itself. 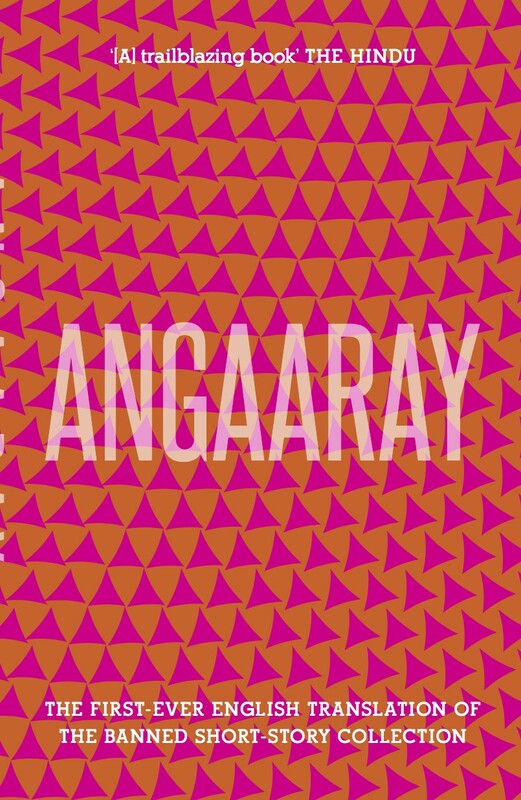 For example, I provide some background on Angaaray, the polemical collection of Urdu short stories that challenged both Islamic conservatism and British imperialism. The collection was burned and banned upon it publication in 1932, and the controversy catalyzed the Indian progressive writers’ movement. Sajjad Zaheer and Ahmed Ali, two of Angaaray‘s contributors, would emerge as influential figures in the movement. What strikes you about the graphic art of the cover of The Left Review? What can you discern about the identity of the periodical based on the visuals and text you observe here? What do you notice about the advertising that appears alongside the Manifesto? What does it tell you about the identity of The Left Review? How do the features and details of the advertising influence your reading or understanding of the Manifesto? Let’s turn to the text of the Manifesto. Where was it written? How is it organized? To what audience or audiences is it addressed, and how can you tell? Can you identify any underlying assumptions or premises in this document? What social and political problems are identified in the Manifesto? What general values emerge? What strikes you about the specifics of the language? What do you note about tone and patterns in phrasing? The Manifesto is succinct and its style straightforward, so the document allows for an inclusive discussion on the first day of class–most students feel comfortable sharing their thoughts and observations. In addition to introducing students to the task of archival analysis, reading the Manifesto together is a useful way to open up the semester’s conversation about the social and political implications of world Anglophone literature. A month into the semester, the Manifesto remains a touchstone. Whether we’re analyzing Indian poetry, Irish plays, or Trinidadian essays, we continually refer back to the issues and values laid out in the Manifesto. As I secure permission from students, I look forward to sharing some of their fantastic insights in a piece I’m contributing to an ARIEL special section on “Global Pedagogy,” forthcoming in spring 2015. Stay tuned! I’ll be contributing an essay on “Digital Archives in the World Literature Classroom” to a special section on Global Pedagogy in an issue of ARIEL slated for Spring 2015. The Global Pedagogy section will feature a collection of essays on “the practice, effects, and implications of teaching literature in English in global contexts.” I’m looking forward to incorporating reflections on the World Literature survey classes I’ve been teaching this year in the article to come. See my abstract below. Digitized archival materials open up exciting possibilities for teaching and learning in the undergraduate world literature classroom. Due to the ongoing digitization of out-of-print journals and political pamphlets, correspondence, photographs, manuscripts, oral testimony, government records, and other artifacts at archival institutions around the world, global pedagogies can increasingly benefit from the incomparable sense of context offered by archives. In my “English 316: Survey of World Literature” class at the University of Texas at Austin, I present multimedia lectures that prepare students for the interdisciplinary study and interpretation of world literatures. For example, a unit on Native American literature includes testimony from Native Americans who suffered as children in assimilationist boarding schools administered by the Bureau of Indian Affairs; in-class activities include discussion of an image of the child-sized handcuffs featured on Slate.com’s The Vault and housed at the Haskell Indian Nations University’s Cultural Center and Museum, and analysis of “before and after” shots, made digitally available by the Beinecke Rare Book and Manuscript Library at Yale, of Navajo and Sioux students at the Carlisle Indian Industrial School. This article will offer a theory of how to incorporate digital archives in the undergraduate world literature classroom. In addition to generating enthusiastic student responses, building digital and information literacy, and strengthening engagement with course concepts, archival analysis tasks challenge students to draw on secondary sources from a diversity of disciplines in order to better understand the significance of a given primary source. Drawing on case studies from my world literature class, which centers on Anglophone texts that emerge from and speak to specific colonial contexts, I will demonstrate how archival materials can enrich students’ understanding of the historic role of English-language literature as a tool of both imperial assimilation and robust native resistance. I will offer a series of strategies and considerations (both ethical and practical) to assist educators in facilitating meaningful student engagement with archives. Here’s the syllabus and course schedule for the two World Literature survey classes I’m teaching this spring. Where will digital and material archives fit into lectures, assignments, and activities? Stay tuned! Welcome to English 316K: Masterworks of Literature: World. This class will provide a broad survey of world literature from the late eighteenth century to the present. We will focus on Anglophone texts that emerge from and speak to specific colonial contexts. We will consider how literature has historically related to the social, political, legal, and economic institutions of imperialism. As we read, we will learn about each author’s biography as well as the history and critical conversations surrounding each text. In each class session we will practice close-reading skills through the analytical discussion of selected passages. This course carries a Global Cultures Flag. For more information about this flag, visit http://www.utexas.edu/ugs/core/flags/global-cultures.